Stain Removal On Satin We first joined the Better Business Bureau in 1966. We have an A+ rating. 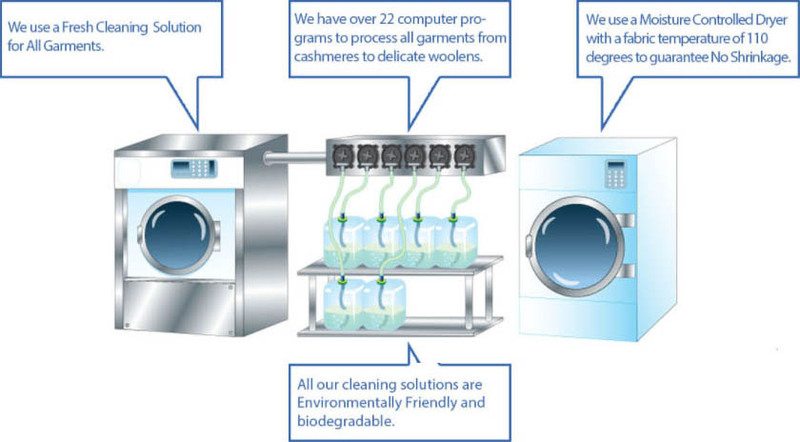 Cleaning with computerized water technologies, moisture controlled drying and biodegradable solutions without the use of hazardous waste. Do you have reactions to odors in your clothes such as dry residue, new garment perfume, or air fresheners? Our natural cleaning system will remove them. Dry cleaners who say they clean your clothes Eco-Friendly or claim they use an Environmentally Safe Cleaning Technology are in violation of Federal Trade Commission guidelines, the California Business and Profession Codes, and the Better Business Bureau Code of Advertising. We Use Fresh Water with 22 carefully selected computer programs to Safely process all garments from cashmeres and delicate wools to comforters. Yes, we have replaced dry cleaning solvents with Water! Never worry again about “Solvent Odors” or “Residual Residue” left in your garments. We don’t generate any Hazardous Waste. Our Dryer uses a Moisture Control Sensor. This guarantees no shrinkage because the garment temperature is maintained at or below 110 degrees. We remove the Residue Dry Cleaning Leaves behind. Dry Cleaners still use the same solvent over and over. These solvents are stored in base tanks under the dry cleaning machines and it is replaced as it evaporates. 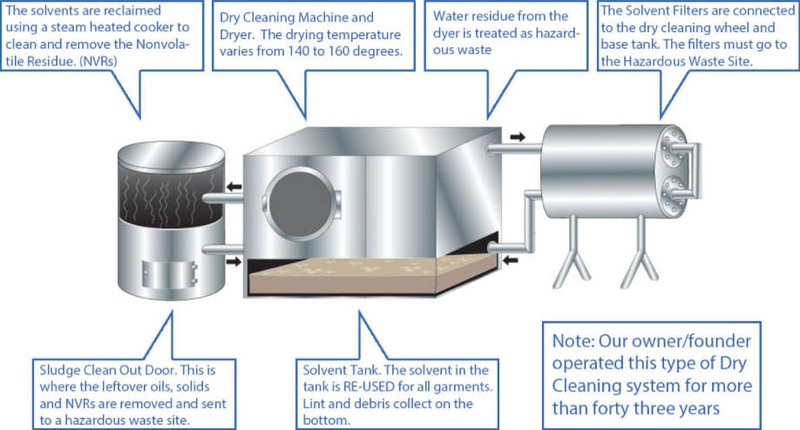 The “New Green” Dry Cleaning solvents still create Hazardous Waste. It is created from the use of filters, still sludge, and vacuum waste water. This waste is stored in the plant until it is collected and sent to a hazardous waste disposal site. Solvent dry cleaning temperatures range from 130 to 150 degrees. The heat is necessary to remove the solvent. The thermostat used is similar to the one found on household dryers. Unlike solvents, our professional Wet Cleaning System eliminates shrinkage, leaves no odor, no residue and no hazardous waste. All cleaning products are biodegradable and approved by the EPA. 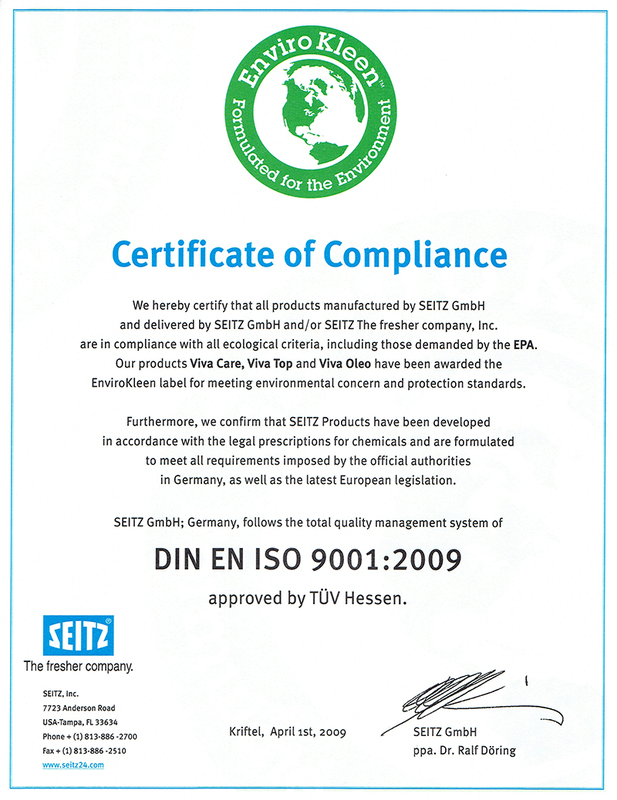 Please see our certificate of compliance. 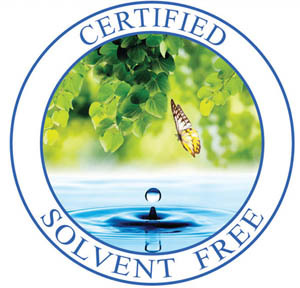 Only Wet Cleaning and CO2 technologies were approved by the State of California as being TOXIC FREE. 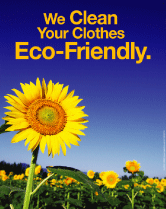 All other dry cleaning solvents create Hazardous Waste and they can not claim to be “Environmentally Friendly”. Dry cleaners RE-USE the same solvent on all garments. It is replaced as it evaporates.